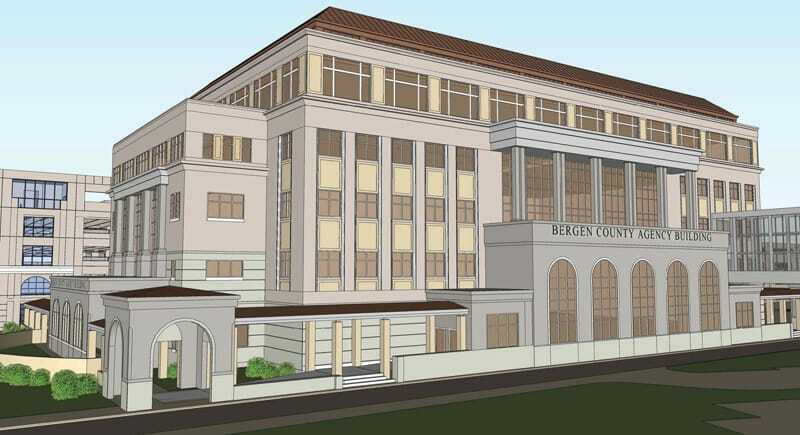 A history of quality construction and expertise with Bergen County has led to multiple projects with the county. To address a need for more adequate space, improved operational configuration, and better security, Gilbane was selected by the County of Bergen to provide design and construction management services for a new agency building, parking deck, and the renovations to the existing Justice Center complex. Completed in three phases, the scope included a new six-story, 128,525-square-foot building, a 750-space parking structure, and renovations to 40,000-square-foot in the existing Justice Center. The agency building houses the Bergen County Sheriff, Prosecutor, County Municipal Court, and other county agencies. The new six-story building was designed to complement the existing historic Justice Center using a Federalist inspired façade. A secure pedestrian bridge for staff and judges was constructed to connect the parking garage to the new building and the Justice Center to ensure the safety of notable employees. Special attention was given to maintaining the historical elements of the existing space, with the renovated Justice Center providing new courtrooms, offices and support spaces for the program needs of the Court. 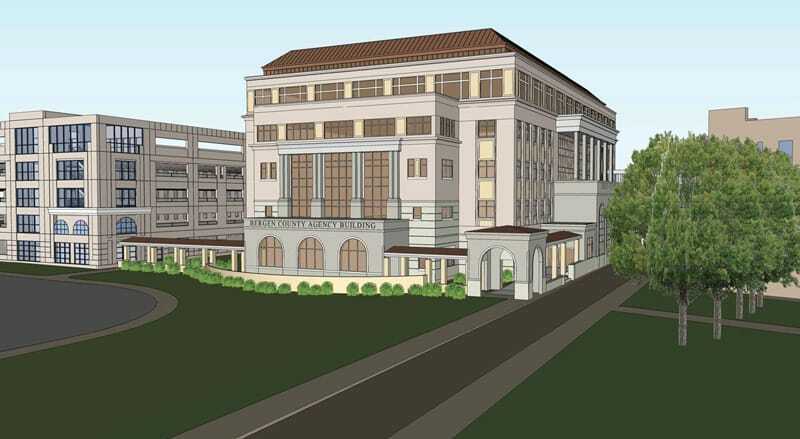 The County of Bergen is a repeat client and projects with the County have included a new 266,000-square-foot, five-story administration building and five-level parking deck; a 30,000-square-foot Bureau of Criminal Investigations Building; and a 263,000-square-foot, 661-bed ail Annex Expansion. Security is vital in the legal industry, with a strict requirement to provide workspaces that ensure the safety of employees. This three-phase project expansion and renovation was critical to enhancing the security of the agencies within the building. A phased project also required Gilbane to implement a strict approach to maintaining tight security throughout the duration of the project to ensure no breaches.